Created by the Campus Election Engagement Project, a nonpartisan effort to help college and university administrators, faculty, and student leaders engage their schools in the election. Key sites consulted included Votesmart.org, OntheIssues.org, FactCheck.org, Politifact.com, and public candidate statements. For guides to local races, see Vote411.org from the League of Women Voters and Ballotready.org. For more detailed information visit their votesmart.org pages. To volunteer, visit espyforsenate.com or cindyhydesmith.com. Mike Espy – Yes. Supports federal spending on infrastructure, broadband & childcare, to grow the economy. But rein in “abhorrent” wasteful spending. Cindy Hyde-Smith – Mixed. Sees value in federal spending on local projects. But “controlling spending” is a priority. Supports balanced budget amendment, spending cuts. 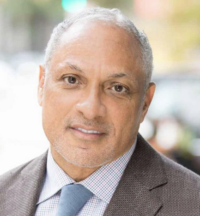 Mike Espy – Fought EPA regulations that would have hurt Mississippi’s farming industry, but pushed for food safety regulations after an e-coli outbreak. Mike Espy – Yes, up to a point. “I believe in the Second Amendment.…but things have changed. …anyone who has been declared a danger to himself or others should not own a firearm…” No assault weapons to anyone under 21. Healthcare: Support or Repeal the Affordable Care Act (ACA), known as Obamacare? Mike Espy – Support. Protect while expanding mental health & prescription drug coverage & offering preventive services without cost-sharing. Also supports paid family & medical leave. Cindy Hyde-Smith – Repeal. Help families afford health insurance coverage without expanding government role. Repeal Obamacare. Mike Espy – Probable yes. Says will fight for women’s rights & reproductive health care… targeting especially sufficient health insurance coverage & medical services. Cindy Hyde-Smith – No. Does not support allowing public funds to go toward family planning services at healthcare organizations that also provide abortions. Cindy Hyde-Smith – Unclear. Did support Lee-Cruz amendment to Farm Bill, adding a work requirement to food stamp programs. Immigration: Position on border all & general policies? 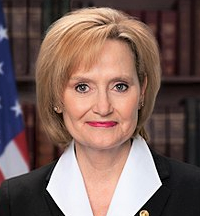 Cindy Hyde-Smith – Voted to block an amendment that would have allowed banks to work with legitimate cannabis businesses. Minimum Wage: Raise the federal minimum wage from $7.25/hour? Mike Espy – Unclear. Supports “increasing interest subsidies on student loans.” Also protecting students from predatory for-profit schools. Mike Espy – Probably would have voted for them but wants to “make sure people see the benefits,” not just corporations. Cindy Hyde-Smith – Yes. Supports Trump’s tax cuts.The only member of the Senate to have voted with Trump’s agenda “100 percent” to date.